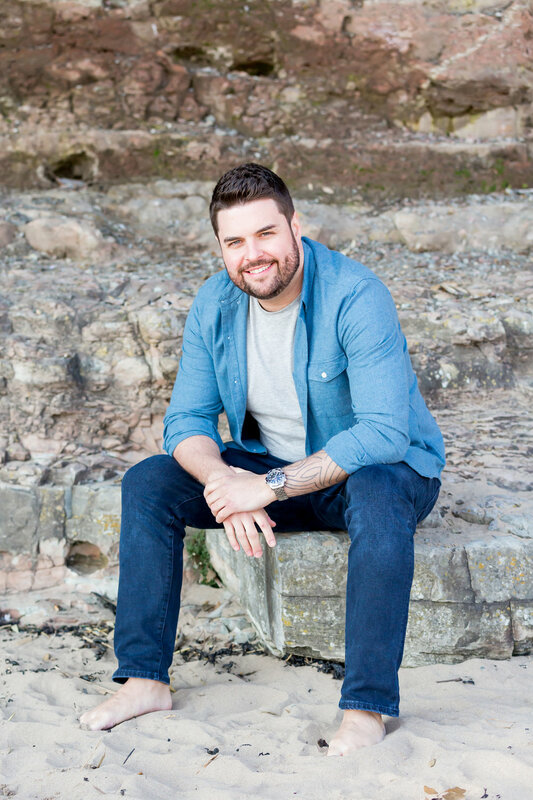 When Siàn and Richie contacted us about their wedding at Upton Barn in Cullompton, Devon we knew we had to speak to them straight away! What a beautiful South West wedding venue! 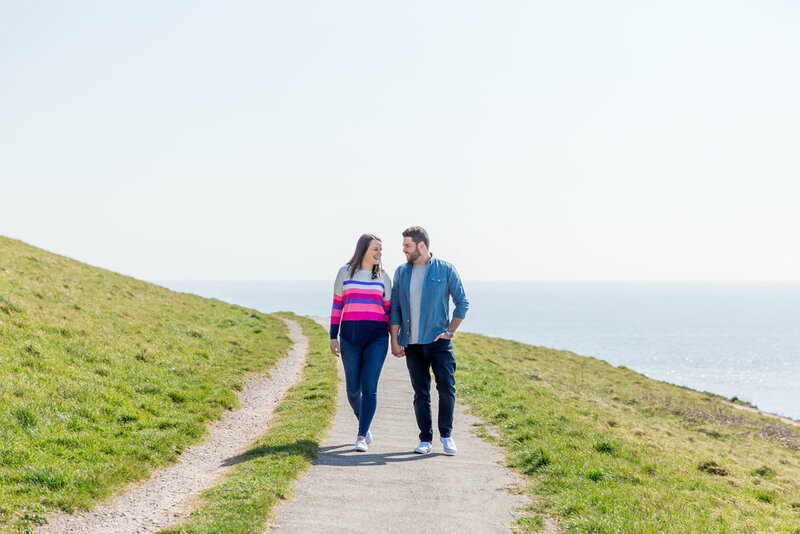 Once we had spoken to them and found out all about them and heard about their plans for their summer wedding in Devon we just knew we had to be a part of it. And we were over the moon when they booked us!! 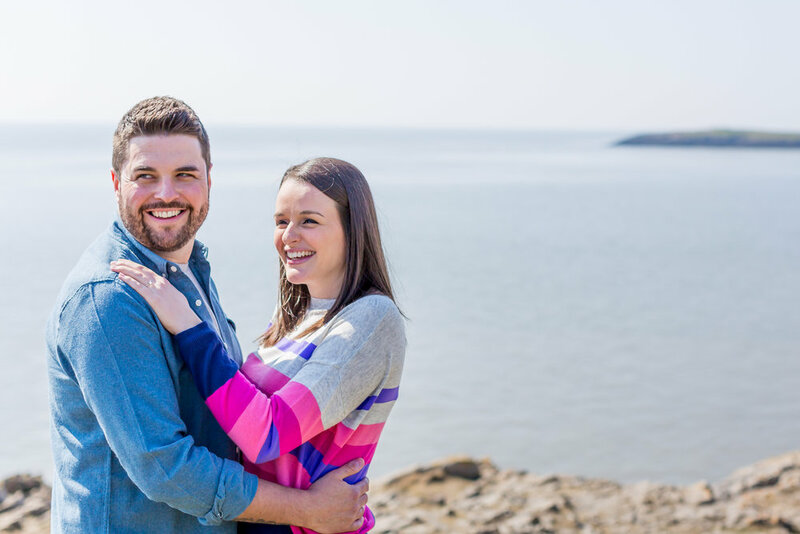 We always encourage our couples to have an engagement/pre wedding shoot. 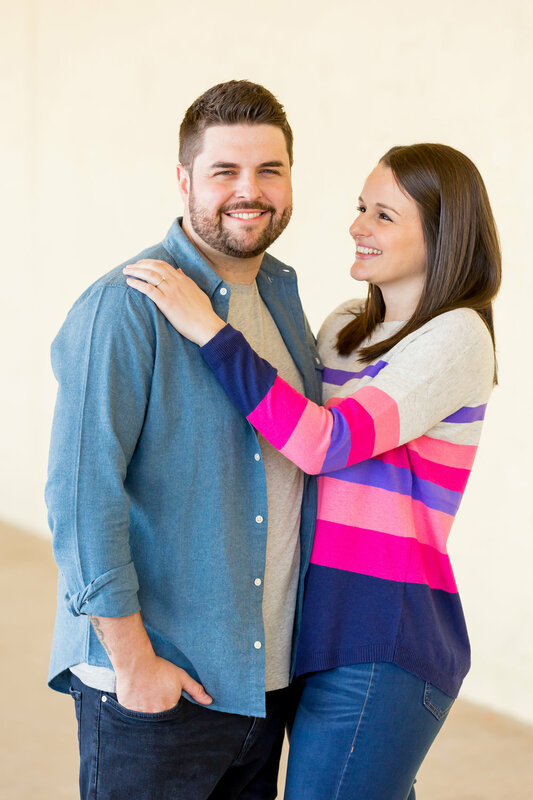 Not only does it help them to feel relaxed in front of a professional camera ahead of their big day, it also gives them a chance to see how we work and they get a great set of photos which they can use for their wedding reception or save the dates, win win!! 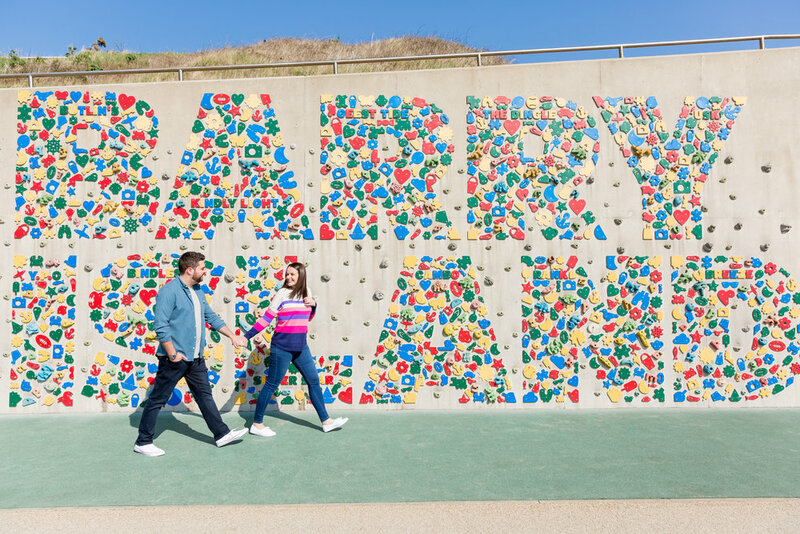 Siàn and Richie went to Barry Island at the end of their very first date so it holds a special place in their hearts. 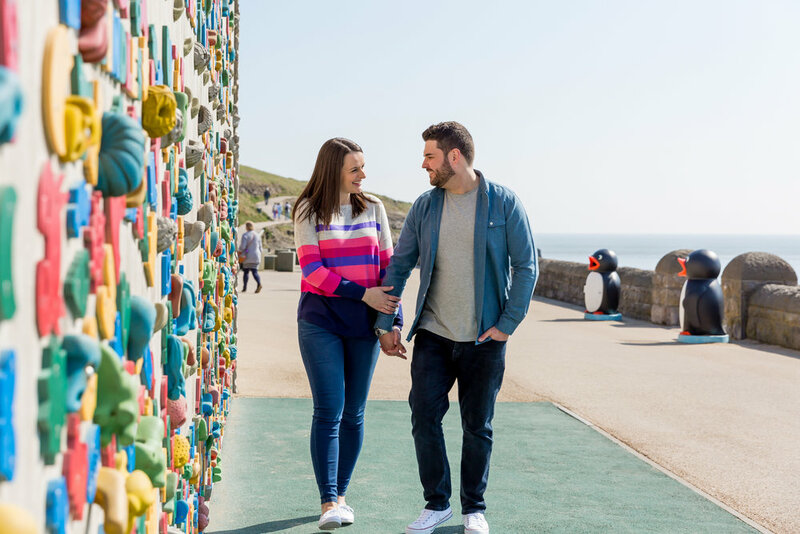 When they cautiously asked us if if we would consider spending the day there for their photo shoot, we jumped at the chance!! Richie very kindly offered to drive, so on a glorious Thursday morning we all headed to Wales. 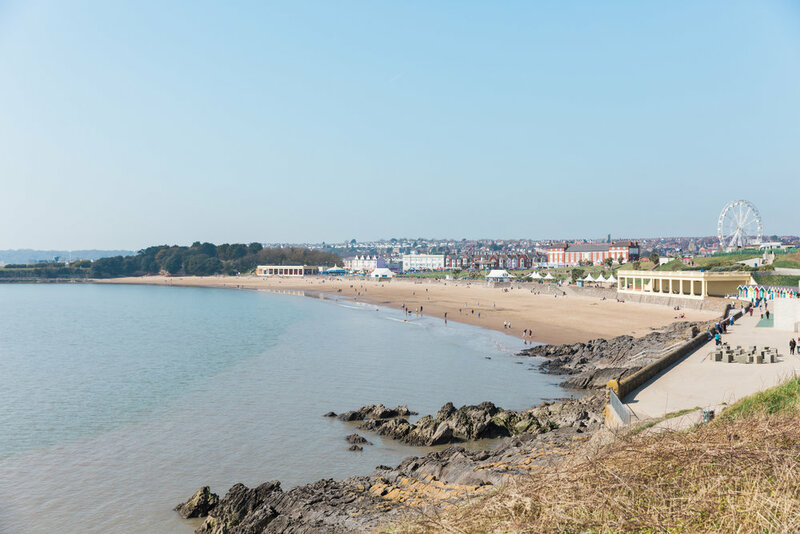 The sun was beating down over Barry, was this really Wales in March?? 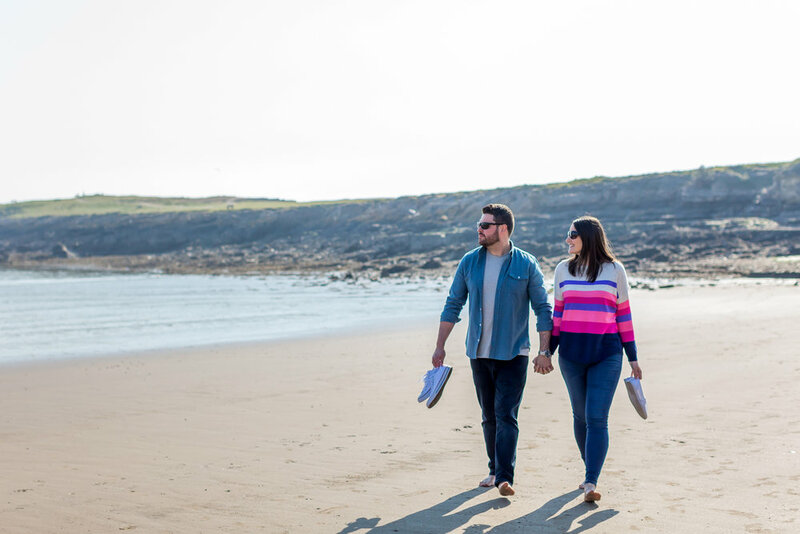 We asked Siàn and Richie to walk hand in hand and chat about their upcoming Devon wedding this July as we snapped a few natural shots of them. 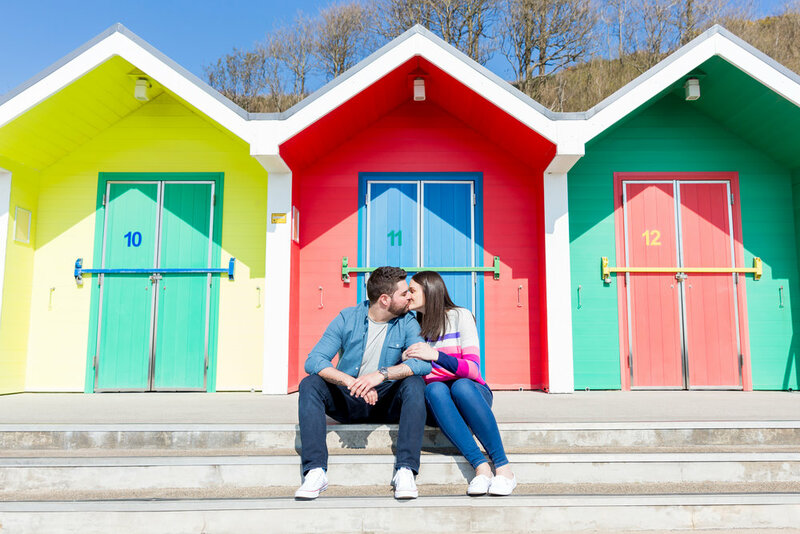 You can’t do a beach photo shoot without including some beach huts! 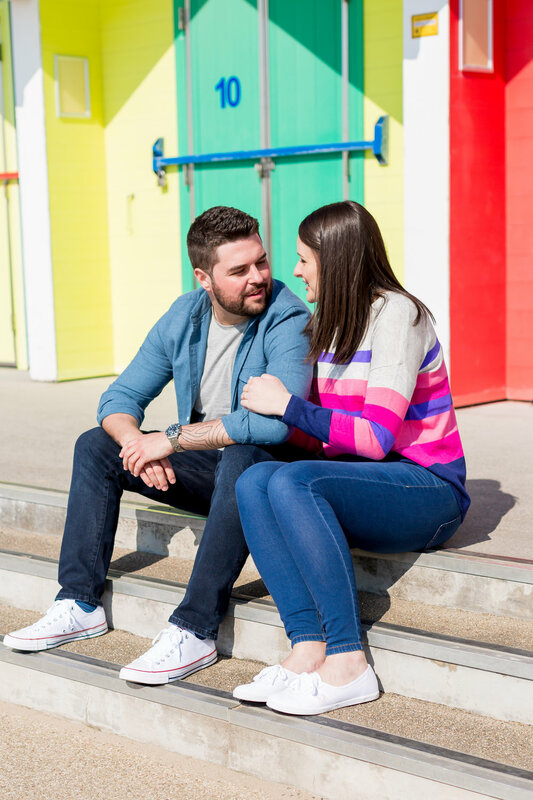 And the colourful beach huts at Barry Island made a lovely back drop for some shots of our lovely couple. We headed to Siàn and Richies favourite fish and chip shop, Boofys, where we all enjoyed the tastiest food! 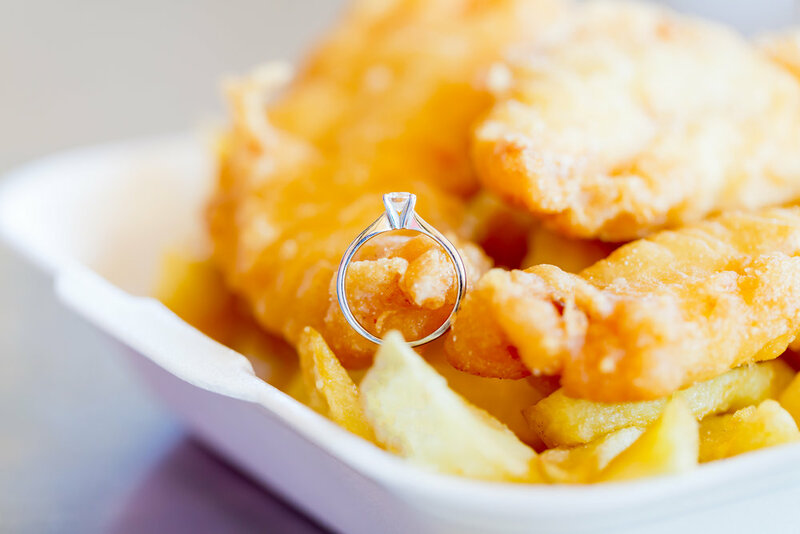 Siàn mentioned that she LOVES chips so we had to get a shot of her engagement ring with her beloved food! 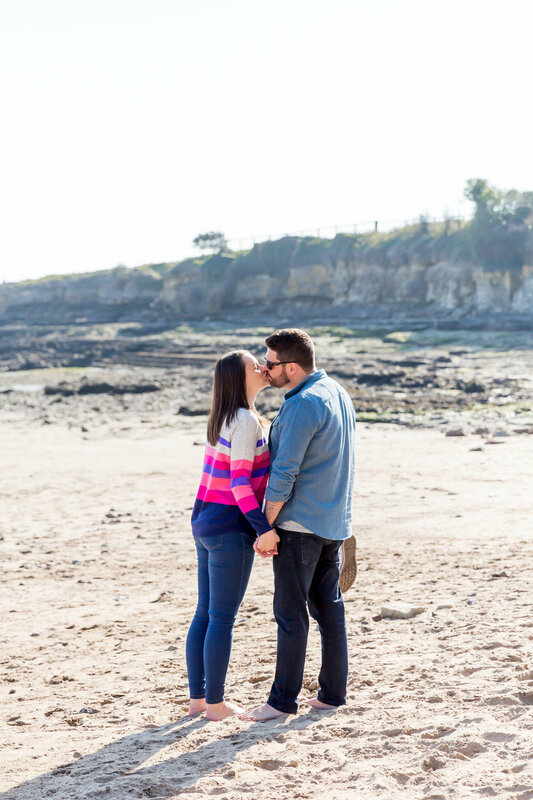 We wandered down to the beach where the light was just perfect for some beautiful couple shots. 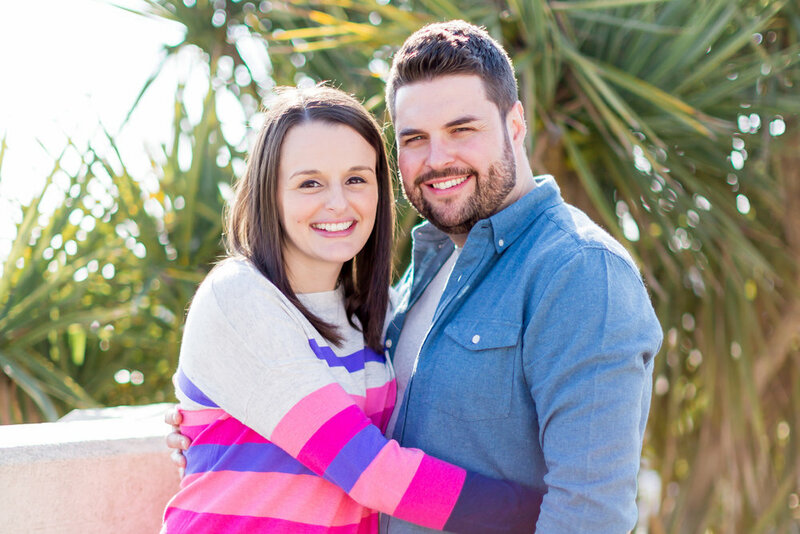 Siàn and Richie were such naturals in front of the camera. Siàn admitted she was a little nervous before the shoot, about half way through the day she declared she was actually having fun which was so great to hear!! 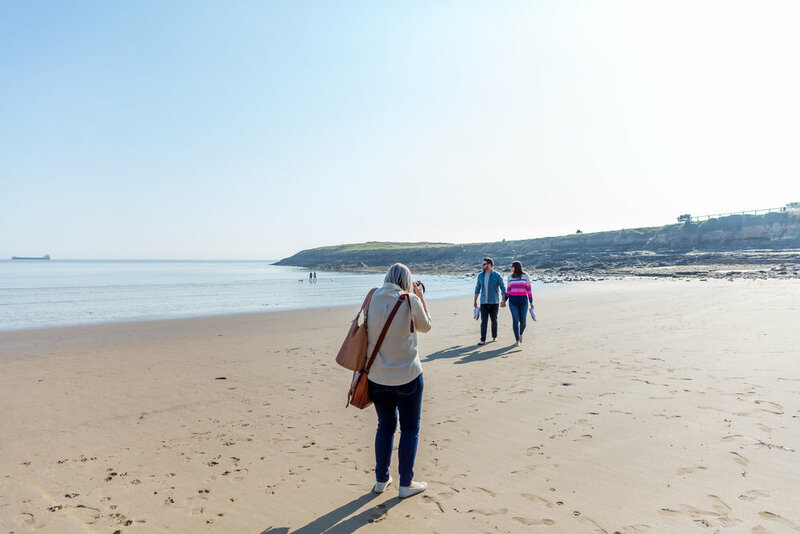 We are all huge Gavin & Stacey fans and it was great listening to Siàn point out all the places where it had been filmed. 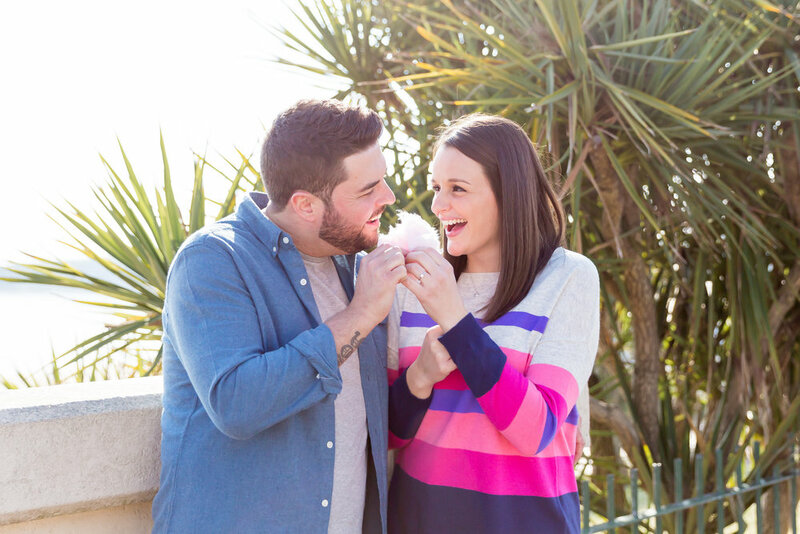 After a walk around the amusements and the compulsory candy floss (you have to have candy floss at the beach!) 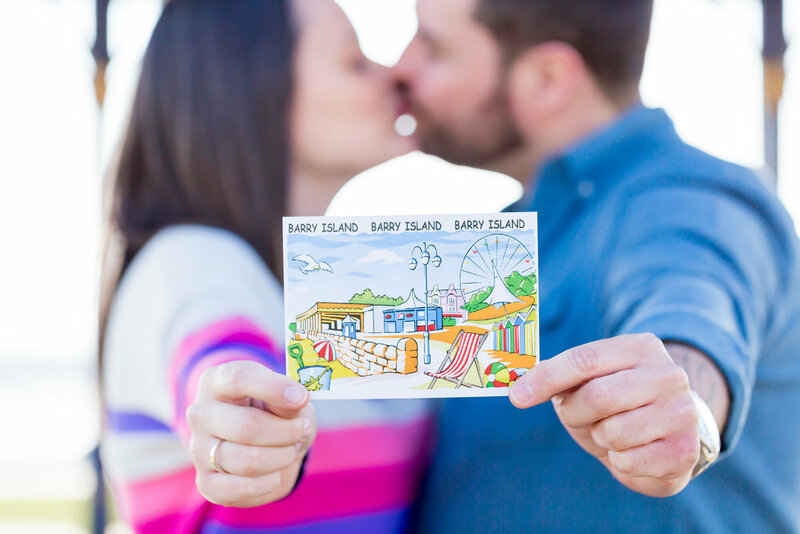 we ended their engagement shoot at the bandstand where they had their very first kiss, our hearts just melted!!! 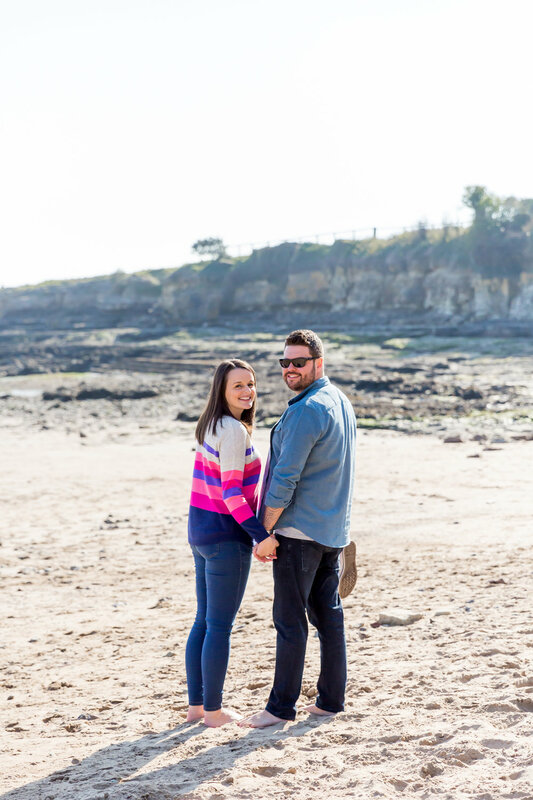 It was a really lovely, relaxed engagement shoot and we finished the day off with a coffee and chatted about their upcoming Devon wedding, the perfect end to a perfect day.